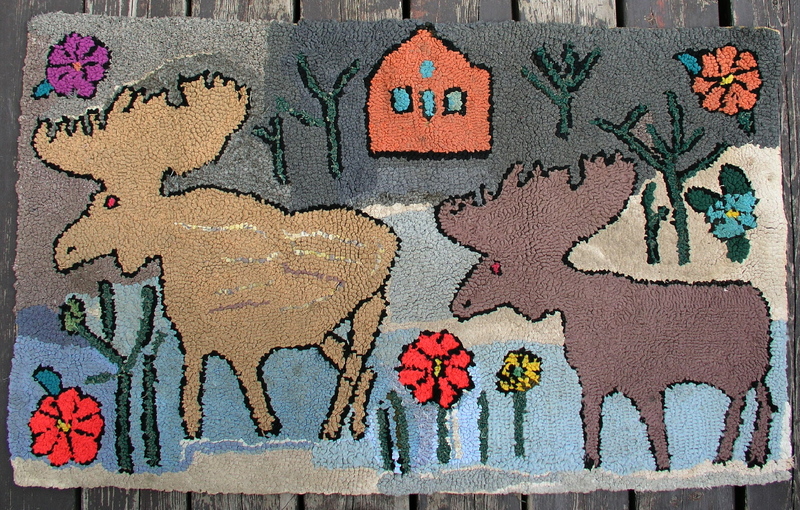 Striking original design of two moose walking by a cabin by an unknown Quebec rug maker. Circa 1930. Excellent condition. larger size. 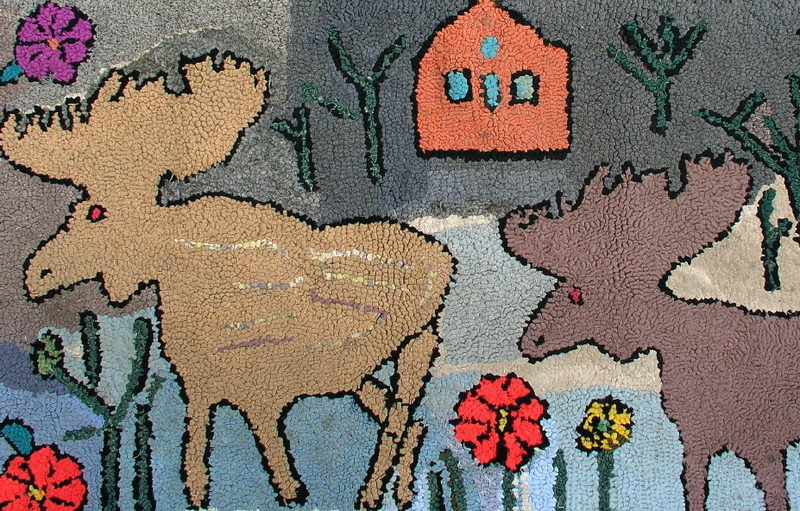 24" x 40".